Some people we shouldn’t even try to educate. The federal government is working on passing a bill that would allow our Dear Reader to assume emergency control of the Internet. Let’s pause and take that in. 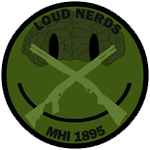 He will be able to take over the one truly open forum of communication that exists where ideas can be spread quickly and in a non-linear fashion. So first, he can declare an emergency for computers that don’t even belong to him, while also designating that those systems (which still aren’t his) have to be managed by professionals that the government has endorsed. I don’t see any problem with that, do you? No possibility at all that those licenses would be given out at political payback and that the holders of those licenses would be a lot like the political officers that the Russians had. Why should the government be involved in ANY form of security that is outside of the government itself? This attitude that government should be there as a “working partner” and to help us along is crap to begin with. Will they be coming around to our houses and advising us on our door locks and smoke detectors and then make us hire a government approved adviser to make sure we get the right one and have them put in the right way? And what happens when that company is something like, oh – I don’t know, Google, Microsoft, Apple, Yahoo, Cisco? Do you really think that once the government has it’s hands on them that they won’t be digging into your computers right after that? Or maybe just shutting down parts of the Internet that they don’t want you to see? Gee, what country does that already…. right on the tip of my tongue…. oh yea, CHINA! Here is the official response that Declan McCullagh received about this when he asked. The president of the United States has always had the constitutional authority, and duty, to protect the American people and direct the national response to any emergency that threatens the security and safety of the United States. The Rockefeller-Snowe Cybersecurity bill makes it clear that the president’s authority includes securing our national cyber infrastructure from attack. The section of the bill that addresses this issue, applies specifically to the national response to a severe attack or natural disaster. This particular legislative language is based on longstanding statutory authorities for wartime use of communications networks. To be very clear, the Rockefeller-Snowe bill will not empower a “government shutdown or takeover of the Internet” and any suggestion otherwise is misleading and false. The purpose of this language is to clarify how the president directs the public-private response to a crisis, secure our economy and safeguard our financial networks, protect the American people, their privacy and civil liberties, and coordinate the government’s response. 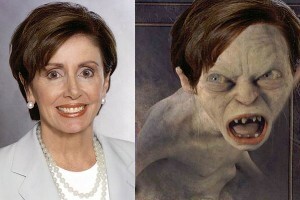 Has anyone ever noticed that Nancy Pelosi looks a lot like Gollum in a wig? Say it ain’t so, Joe!!! And are any of us really surprised??? I didn’t think so.